TULSA – Helmerich & Payne, Inc. today reported a net loss of $12 million or $(0.12) per diluted share from operating revenues of $577 million for the second quarter of fiscal 2018. The net loss per diluted share includes $(0.07) of after-tax losses comprised of select items(3). Net cash provided by operating activities was $125 million for the second quarter of fiscal 2018. President and CEO John Lindsay commented, “Second quarter operational results were strong and our team continued to execute in superb fashion in this steadily improving environment. Higher crude oil prices bolstered increases in the U.S. rig count which in turn supported rig pricing improvements during the quarter. “The demand for super-spec rigs continues to persist as the industry’s super-spec fleet remains nearly 100% utilized. H&P leads the way with more than 40% of the super-spec market share in U.S. Land. We also have approximately 50% of the industry’s idle rig capacity not already at super-spec capability that can be readily upgraded to those specifications in the current pricing environment. Our robust financial position and the composition of our fleet continues to drive our ability to respond to current and future FlexRig demand. 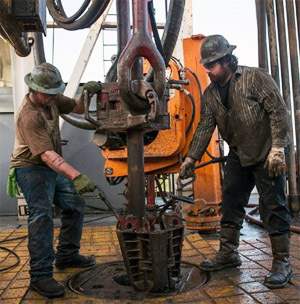 Given the tightening market conditions for FlexRigs and the value proposition we provide for customers, we expect increases in average dayrates for our rigs in the U.S. Land spot market to accelerate during the next few months. 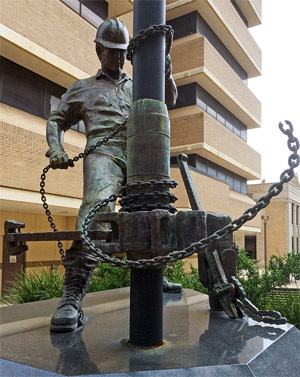 “The Permian is the most active basin in the U.S. and has been the epicenter of the industry’s recovery. H&P has 107 rigs operating in the region, providing us with a leading market share of more than 20% and we expect our rig count to continue to grow throughout the next several months. Our attention to work-force staffing during the last downturn continues to enable us to effectively manage tightening labor market conditions in the Permian. “The strengthening of crude oil prices has also been encouraging for our international and offshore businesses as we have seen a rise in the number of inquiries and opportunities in these segments. “Our subsidiaries, MOTIVE® Drilling Technologies, Inc. and MagVAR, remain at the technological forefront of providing value-added services in improving overall well economics for our customers. These businesses are growing activity at impressive rates as the importance of wellbore quality and placement is increasing, while at the same time longer laterals and tighter well spacing are becoming more and more prevalent. These technology offerings, combined with our digital FlexRig platform, continue to provide significant value for our customers going forward. Segment operating income increased by $2.3 million to $27.1 million sequentially. Positive operating results continue to be supported by sequential increases in both quarterly revenue days and average rig revenue per day. The segment’s depreciation expense for the quarter includes non-cash charges of $7.1 million for abandonments of used drilling rig components related to rig upgrades, compared to similar non-cash charges of $7.2 million during the first fiscal quarter of 2018. The number of quarterly revenue days increased sequentially by approximately 2%. Adjusted average rig revenue per day increased by $544 to $22,711(4) as pricing continued to improve throughout the quarter. The average rig expense per day increased sequentially by $540 to $14,086. The corresponding adjusted average rig margin per day was roughly flat at $8,625(4) for the second fiscal quarter. Segment operating income decreased by $3.3 million to $5.4 million sequentially. The number of quarterly revenue days on H&P-owned platform rigs decreased sequentially by approximately 2%, and the average rig margin per day decreased sequentially by $2,871 to $9,504 primarily due to unfavorable adjustments to self-insurance expenses. Management contracts on customer-owned platform rigs contributed approximately $5.1 million to the segment’s operating income, compared to approximately $6.5 million during the prior quarter. The segment had an operating loss this quarter as compared to operating income during the previous quarter. The $4.2 million sequential decrease in operating income was primarily attributable to favorable adjustments that benefited the prior quarter (ended December 31, 2017). Revenue days decreased during the quarter by 4% to 1,530. The average rig margin per day decreased by $2,818 to $8,533. • Capital expenditures are still expected to be in the range of approximately $400 to $450 million. • The estimate for general and administrative expenses for fiscal 2018 is now approximately $190 million. • Depreciation is now expected to be approximately $585 million, inclusive of abandonment charges estimated at roughly $35 million. • Upgraded 30 FlexRigs to super-spec(1) capacity since the beginning of fiscal 2018 (October 1, 2017) resulting in 183 super-spec rigs in our fleet today. • On March 5, 2018, MOTIVE, a wholly-owned subsidiary of H&P, announced that the company had set a new record of five million feet of directional drilling using its automated bit guidance system. 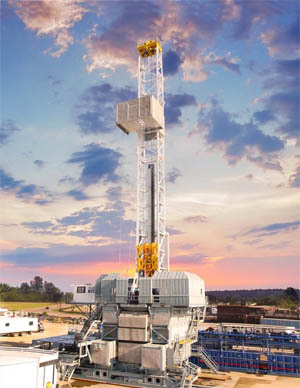 • Recently, Rig 608, a super-spec FlexRig3, working for an operator in the Utica Shale, drilled a total measured depth well of approximately 30,130 feet with an extended reach lateral measuring approximately 19,300 feet. This was completed in approximately 20 days (from spud to release). • On March 7, 2018, Directors of the Company declared a quarterly cash dividend of $0.70 per share on the Company’s common stock payable June 1, 2018 (as filed on Form 8 K at the time of the declaration). 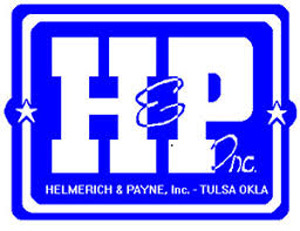 Helmerich & Payne, Inc. is primarily a contract drilling company. As of April 26, 2018, the Company’s fleet includes 350 land rigs in the U.S., 38 international land rigs, and eight offshore platform rigs. The Company’s global fleet has a total of 388 land rigs, including 373 AC drive FlexRigs. This release includes “forward-looking statements” within the meaning of the Securities Act of 1933 and the Securities Exchange Act of 1934, and such statements are based on current expectations and assumptions that are subject to risks and uncertainties. All statements other than statements of historical facts included in this release, including, without limitation, statements regarding the registrant’s future financial position, operations outlook, business strategy, budgets, projected costs and plans and objectives of management for future operations, are forward-looking statements. For information regarding risks and uncertainties associated with the Company’s business, please refer to the “Risk Factors” and “Management’s Discussion and Analysis of Financial Condition and Results of Operations” sections of the Company’s SEC filings, including but not limited to its annual report on Form 10 K and quarterly reports on Form 10 Q. As a result of these factors, Helmerich & Payne, Inc.’s actual results may differ materially from those indicated or implied by such forward-looking statements. We undertake no duty to update or revise our forward-looking statements based on changes in internal estimates, expectations or otherwise, except as required by law. Note Regarding Trademarks. Helmerich & Payne, Inc. owns or has rights to the use of trademarks, service marks and trade names that it uses in conjunction with the operation of its business. Some of the trademarks that appear in this release or otherwise used by H&P include FlexRig and Family of Solutions, which may be registered or trademarked in the U.S. and other jurisdictions. 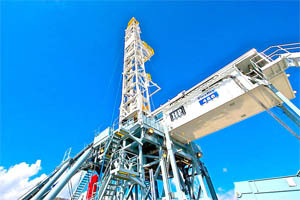 (1) The term “super-spec” herein refers to rigs with the following specifications: AC drive, 1,500 hp drawworks, 750,000 lbs. hookload rating, 7,500 psi mud circulating system and multiple-well pad capability. (2) EnergyPoint Research published its annual Oilfield Products & Services Customer Satisfaction Survey results on February 7, 2018. Many in the industry use this independent survey as a benchmark for measuring customer satisfaction within oilfield services. (3) See the corresponding section of this release for details regarding the select items. (4) See the Selected Statistical & Operational Highlights table(s) for details on the revenues or charges excluded on a per revenue day basis. The inclusion or exclusion of these amounts results in adjusted revenue, expense, and/or margin per day figures, which are all non-GAAP measures. This entry was posted in Business on April 26, 2018 by admin.